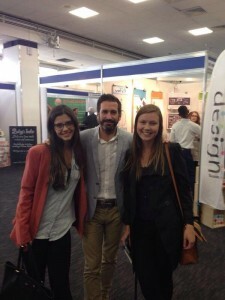 Ana (left) meets her hero, Oliver Heath, (centre) at the Eco-Technology Show. Her architect friend, Lais Moretto, (right) is happy to meet him too. 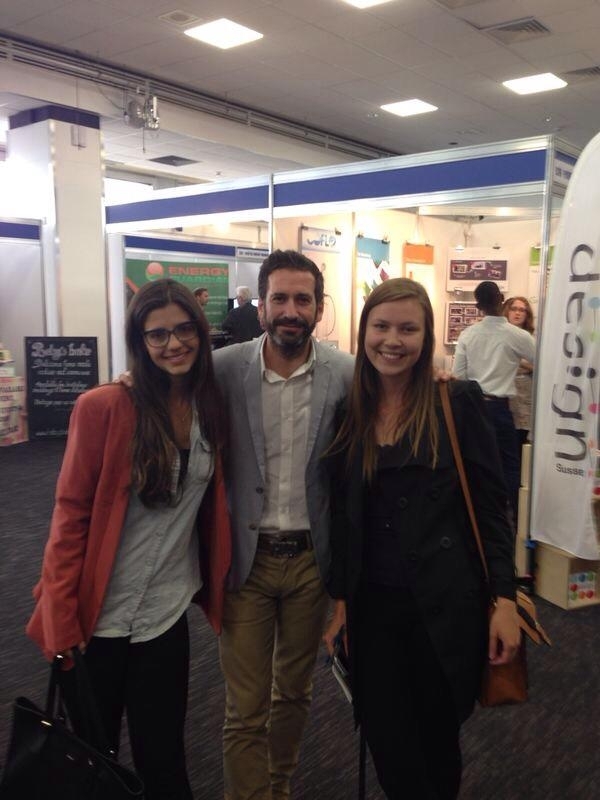 Our Brazillian summer intern, Ana Vilela Felix, was delighted to meet her hero and eco-interior design maven, Oliver Heath, at the Eco-Technology Show in Brighton last week. Apparently, reruns of the BBC television show Changing Rooms, in which Oliver features as a hands-on expert helping people transform their homes, are massively popular in Brazil. Ana’s mum was particularly impressed with the photo her daughter sent her of the design supremo. Oliver gave a talk at the show on the eco-refurbishment of his house and how his recent training as a Domestic Energy Assessor has focused his passion to help others improve the energy perfomance of their homes. Ana is an Environmental Engineering student from the Federal University of Viçosa participating in a Brazilian government exchange programme called Science Without Borders. She has been continuing her studies at Brighton Univeristy and is currently helping Phlorum with our work on life-cycle carbon assessments of new buildings. It’s nice to see that England can still impress the odd Brazillian, if not with our football skills at the World Cup, then at least with our passion for good, eco-centric, interior design!